Welcome to the Placitas Platter Party, hosted by Ken Aronds! Ken is new to Placitas and to New Mexico – he moved here with his wife, Jo, in 2015 from Washington, DC. Ken’s musical passions lie with the forgotten lo-fi sounds of the 1950s and ‘60s, such as Rockabilly, primitive Rock ‘n Roll and obscure Rhythm & Blues, Surf Instru-mentals, and teenage Garage Rock. For as long as he can remember, Ken has been making playlists of this glorious noise for his own enjoyment, and is thrilled to play these tunes on KUPR for all to hear. So, tune in at 10 pm Saturdays for the rockin’, rollin’, wailin’ and flailin’ sounds of Ray Gentry & His Rovin’ Gamblers, Mickey Hawks & the Night Raiders, The Rebelaires, The Trashmen, Wanda Jackson, Fat Daddy Holmes, Tooter Boatman, Jett Powers, Ersel Hickey, Bullmoose Jackson & His Buffalo Bearcats…and hundreds more! Alan Ball is a recent transplant to Placitas, moving from Santa Fe. He has lived in New Mexico for 35 years, was born and raised in the Midwest and escaped to the Rocky Mountains as soon as possible. Alan enjoyed four years as a active DJ for a low power college station in Lincoln NE. Since the 70's his career has taken him thru banking, real estate and title insurance while squeezing in a little alpine skiing and travel. His on-air name is FINGERTIPS. Always curious about newer music and sounds, his own tastes lead him back to Rock, Pop, R&B, Soul, Blues, Jazz and Americana. He joins KUPR at 4pm Tuesdays. KUPR has been blessed with the archives of "Stolen Moments" from the late Simon Barley. Barley was a jazz disc jockey and concert promoter who died of liver cancer. Barley collected the best of post-war acoustic modern jazz (1944-69). He produced nearly 100 Stolen Moments programs on disc with the goal of syndication. We are working to carry on his work by reformatting as many discs as possible for airplay on KUPR every Wednesday night from 10 pm to midnight. An award winning stand-up comedian, musician, songwriter and writer with more than 20 years experience on the road, Rog Bates hosts the Rog Bates Crazy Hour on Tuesdays from 3 to 4 pm. Being funny without being offensive is Rog's specialty ... and his new songs about Placitas and KUPR are a hoot. Bobbi Jean Bell is wild about the West! And we are wild about the vast knowledge of Western music, poetry, prose, Western Swing, Cowboy Country and more that she brings to KUPR. She hosts the Out West Hour from 4-5 pm on Saturdays. Bobbi and husband Jim moved to Albuquerque about a year ago from California where she ran a concert series. Bobbi and her Nashville-area co-host Gary Holt won the DJ/Radio Program of the Year award at the recent International Western Music Association convention in Albuquerque. Join hosts Kitty & Mr. C in their little Tiki hut, Saturday evenings, from 5-7 pm, as they stir up the perfect sonic cocktail of sophisticated sounds from the golden & modern age of Exotica, on their show “Kitty & Mr. C’s Enchanted Tiki Hut.” Travel on a magic carpet ride to strange and mesmerizing places each week. This show incorporates exotic jungle jazz sounds, tribal percussion, Afro-Cuban, Latin rhythms, cocktail jazz, surf, Bossa nova, Kitty is an accomplished singer, having performed with Mr. C (a drummer) in jazz clubs in California. She has also performed in musical theater. Most recently she was the social media coordinator for Mr. C’s other project, a progressive rock band. 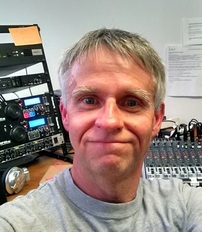 Jerry DiTata started doing radio in 2012 on WUSB in Stony Brook,NY - early mornings twice a month, filling in for other hosts, recording promos and also helping out with live sound when local performers would be featured. After relocating to New Mexico in 2014, he could be heard occasionally on KUNM during the overnight hours and since June of 2015 also has a weekly time slot on KMRD-LP in Madrid, NM. Jerry D likes to spin Jambands, Bluegrass, Americana, Album Rock that was not overplayed on commercial stations and local artists also. Happy to be part of the KUPR family, he will be interviewing local talent for the “Let’s Get Creative” show and is now hosting Saturday Afternoon Freeform at 2pm. His local artist interviews are archived here after they air. Tom Frouge joins us on Tuesday evenings 6-8 pm for The Strange Land. Tom began his music business career in 1988 as a radio host at free-form radio station WPKN-FM in Bridgeport, CT, where he also served as music director for eight years. Since then Tom has worked in most aspects of the music business (labels, management, promotion and marketing, publishing, record producing, presenting, songwriting) and is currently the Executive Director of Avokado Artists, a NM-based not-for-profit arts organization. We are proud to have Tom return to radio with KUPR - bringing a world of music, interviews and more to the airwaves. From the dusty back roads of the Americas to the dusty no-roads of the Sahara, from the streets of NOLA to the streets of Recife, from the Great Wall to the Great Pyramids, from the Seine to the Volga to the Ganges to the Hudson to the Rio Grande - and beyond - it’s a trip around a musical Strange Land.... Tom also organized our 2015 Los Martinez concert, a fundraiser for the station and the 2016 benefit concert by the Rahim Alhaj Trio. Ken Grimes hosts The Mystery Music Show every Thursday from 3-5 pm as well as occasionally appearing on KUPR's Friday Happy Hour. He also hosts a Sunday 9 am show, Sunday Morning Strings. A Chicago native, Ken attended Columbia College as a music major. A versatile musician who plays bass, six-string guitar, and keyboard, Ken has been in the music business from more than 45 years. His experience includes playing with various bands in Chicago and as a DJ for events at Top 40 clubs, weddings, special events - even roller rinks. Ken moved to Placitas in 2012 with his wife Lynne who provided the profile picture. Tune in every Thursday where "Spinnin' Kenny G" will reveal the next tantalizing musical mystery. Dr. David Hoekenga joins KUPR Thursday evenings at 6pm beginning June 4th with Melodies from the Sandias - a selection of classical music. Did you know that Dr. Hoekenga is also an author of mystery books that are available at Wild Hearts Gallery in Placitas? David Kinney arrives at 7am Monday through Friday, inviting you to wake up to some "oldies" during The David Earl Show. Then the coffee is on as locals drop in to talk about their projects and passions. His radio background originated back in the late 60’s and early 70’s when he was a DJ in Monmouth, IL. Thirty years later he was on the air at the former KBUL radio station in Albuquerque doing weekend nights. Dave credits his mother for teaching him about giving back and he has been a volunteer in many organizations including the Kae deBrent Hodges Scholarship Fund, La Cueva High School Band Boosters, The Albuquerque International Balloon Fiesta and, now, KUPR and Placitas Community Library. Monday nights enjoy The Jazz Groove with George Koinis from 6-9pm. Tune in Sundays at 11 am. for an hour of mandolin music, Mandolin Magic, from many genres thanks to George - a mandolin player and afficionado. George is a talented musician and past president of and advisor for the New Mexico Jazz Workshop. He has also curated and currently hosts the Eddie Chelist Music Hour at 9pm Tuesdays with selection from the late Dr. Chelist's vast music collection donated to KUPR. Ready for a music adventure? Tune in for Johnny Lawndart at 8pm, Wednesdays, with Hindsight - a weekly theme of underplayed and overlooked music. Back when Datsuns roamed the earth, Lawndart was a collector of all music that was under the radar and off the grid. Shuffling and repackaging selections of his ever expanding collection into numerous mini-presentations, he labored over, what prehistoric man once called, "mix tapes". This passion for gathering only the overlooked gems for a themed presentation eventually led him straight to radio. His show "Hindsight" focuses on a different subject every week, providing listeners with only the best of underplayed talent. Johnny promises to treat you to completely unprofessional on-air presence and clumsy commentary, but backed by the absolute best music you might have missed, and shouldn't live without. Sarah Lawndart has no idea into what she has gotten herself. Her one-hour Pearls show on Sundays, 5-6 pm, is full of mixed-genre music and readings. From uber-sweet to slightly raucous, folk, punk rock, alternative, oldies, newbies, ska, with a show tune here and there, you’ll laugh, you’ll cry, you’ll wonder why she played THAT song, and you’ll hopefully hear something that you never knew you loved. Rick Lawrence has been listening to the MoTown and doo wop genres of music since he was a very young boy growing up in the New York suburbs. He learned to play guitar when he was 10 years old and one of his first songs was "teenager in love"! He will be sharing his 45 collection of oldies accumulated over the years. Rick played in several bands in high school and currently plays with another guitarist at nursing homes and assisted living facilities. With his sidekick Tim Trujillo, he brings two hours of Strolling Down Memory Lane to the air on Fridays, noon to 2pm. His new Sunday show, Country on Sunday at 1-3 pm, brings some fine classic country music to KUPR. Recording artists A. Michael Martinez and Charlotte Perry are queuing up the hottest indigenous music in the world as they walk the Red Road on Wednesday evenings 5:30-8pm. Featuring music of the First Peoples of the Americas, World Indigenous, East/West, Latin Jazz, Traditional/Modern. It all converges during this auditory space in time where it truly is all about the human journey! Michael and Charlotte have lived in Placitas since 1984. Michael is an original member of the Native American rock band, Xit (just inducted into the New Mexico Music Hall of Fame) and recorded at the Hitsville Motown studio in Detroit. Charlotte is a UNM graduate in music, was a NM music educator, and has an extensive vocal performance background ... they now perform together as AMISTAR. John McNerney (who is also an engineer for the station along with Larry Wilson and Jerry DiTata) shows up Mondays at noon for two hours of Early Rock and Roll. John retired from state service in New England and moved back to his native New Mexico recently. While he was here as a young man, he was an "Announcer" on KUNM when both studio and transmitter were in the basement of the UNM Student Union and the antenna was on the roof. It broadcast on 90.1 FM. That was in the late 1960s and early 1970s. "Announcer" was euphemism for DJ; somehow DJ implied popular AM Radio in those days, an anathema to KUNM, which viewed itself as more avante guarde and played Rock and Roll, mainly tunes that you would not likely hear on AM Radio. He lives in Placitas with his wife of many years. She is a trained classical musician, but has come to appreciate some of the Rock and Roll of those days. He is also engaged in volunteering around Sandoval County, providing services similar to those he provided in his career. Want to learn about opera - or you are already a huge opera fan? Tune in Thursday evenings following Harmonies from the Sandias and enjoy Night at the Opera with host Daniel North. Friday nights he has fired up a new show at 9 pm - Friday Night Metal. Then tune in Saturday evenings at 7pm for A Night at the Movies - an hour of music from movies with, of course, emphasis on movies made in New Mexico. In his spare time Daniel is a nationally known artist. Joining the KUPR airways in June was Doc Rivers. He is a native New Mexican born in Santa Fe with Placitas roots on his Mom's side. Her family was here before the Pueblo uprising. Doc is a Placitas resident working as a therapist for PTSD clients and in the past he built custom homes in Placitas with his wife Patti. He comes from a stint as a Heavy Metal DJ when all Vinyl was king at the Old Rock 108 KFMG in Albuquerque. KLSK 104.1 was the next radio stop under the tutelage of Longtime air talent Dale Brooks and KLSK Station Co-Owner John Sebastian the originator of The Wave radio Station fame and the legend behind Classic Rock.104.1 KLSK was a New Age radio station from Santa Fe that moved to the Albuquerque market. Doc Rivers brings an engaging energetic genre of musical relaxation, inspiration, and optimism through the electronic ambient world beat, folksy sequencer piano tunes, and the fusion of flutes, harps guitar, and table. All known collectively as Progressive Adult contemporary or New Age, a non-defined complex cultural musical genre. 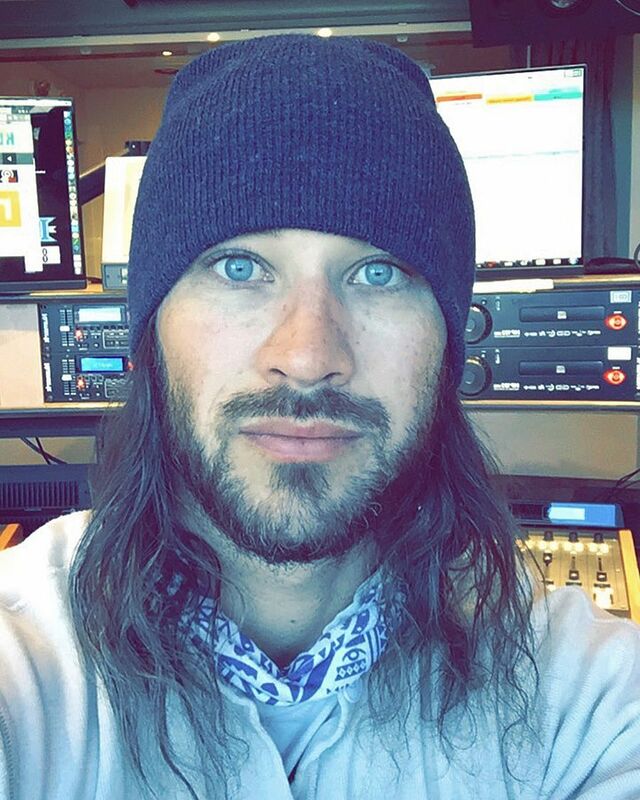 Join him for Placitas Chill Sunday nights from 8 – 10 pm. and Morning Chill Saturday mornings from 7-9 am. Wayne Rohar brings a Blues from the Roadhouse, a mixed bag of second helpings with some great music and featured artists in a time slot at noon on Tuesdays (except when he has a movie gig). The Blues are an integral part of our musical history. Starting out on the plantations, this genre soon spread to many styles. Wayne's interest in music began after meeting, and learning three chords from, the lead guitar player for a Seattle surf rock band. Soon he was playing with local bands in Fairbanks, AK and then in New Hampshire . He and Doreen moved to NM in 1999. Once again the music bug was set free. (Thanks Tim.) So, on with the show, Happy Listening. Tom Traynor, host of the Eclectic 180, Wednesdays at 2 pm is a DJ rookie. He spent his entire career in and around the communications industry…radio stations, TV, recording studios, production facilities, film production, commercials, etc…. as the owner of advertising and marketing firms working with brands such as McDonald’s AT&T and others. Over the last 15 years, he ran (with two partners) an international association of marketing firms with accredited members certified as brand development specialists. He and his wife, Rosemary Breehl (Ro), moved to New Mexico from Cleveland five years ago and live in Bernalillo. Tom is a native of Detroit and grew up to the sounds of Motown. Tom and Ro have three beautiful daughters and six great grandkids. Tom volunteered to be a KUPR DJ after a life-long love affair with music, live concerts and a huge crush on Janis Joplin. His tastes are wide-ranging from zydeco to hip hop, to jazz and folk, rock and roll and bluegrass, the blues and guitar jams...and thus the eclectic theme of his radio shows. Tim Trujillo has joined Rick Lawrence on Friday at noon for a Stroll Down Memory Lane and sometimes shows up as a guest host and host for KUPR's Happy Hour. He follows Stroll Down Memory Lane with a more jazzy hour titled Straight No Chaser. Born and raised with pride in the Lincoln Heights neighborhood of the east side of Los Angeles, Tim now proudly calls the Land of Enchantment home, as his ancestors have done for centuries before him. A love of great music flows through this bloodline, most notably from his great, great grandfather, a remarkably…fruitful blind fiddler in Taos. Bob Witter is the host of The Mix, Sunday evenings from 6-8 pm. Bob is a long-time resident of New Mexico and is a graduate of NMSU. While at NMSU, Bob joined KRWG-AM and FM as a DJ and also served as sports director. He mostly enjoyed broadcasting Aggie basketball games. Bob’s career started as an engineer with electric utilities, then evolved into a consulting practice. He became a nationally-known forensic engineer and instructor of utility codes. While living in the Jemez Mountains, Bob was a firefighter, Battalion Chief and EMT for the Sandoval County Fire Department (District 5). He and his wife, Kathy, moved from the Jemez to Bernalillo in 2013. Join Bob on Sunday evenings for two hours of oldies rock ‘n roll, big band music and doo wop. And maybe a few surprises here and there. On the air on Mondays from 3 pm to 5 pm with Indigenous Brilliance, contemporary Native American music, is Lyle Toledo Yazzie. Lyle is a former Park Ranger and sales clerk at Hubbell Trading Post National Historic Site and now calls Placitas home where he creates a line of jewelry exhibited across the world as well as in prestigious shows like IFAM and The Heard Museum's Indian Market. We appreciate his bringing the Diné perspective to our KUPR listening audience and also learning that he is every bit as much at home with Rock and Roll as Native American music. Weekly Edition with radio personality Pat Allen airs during the Thursday 5pm time slot. Details each week can be found under "What's New". These are interviews with non-profit organizations and folks working on issues in our surrounding communities. Pat is a previous winner of the Newscaster of the Year award by the New Mexico Broadcaster's Association and KUPR is proud to have his talent and expertise. He is the voice behind many of our KUPR station breaks and announcements. Pat also does an occasional interview just for KUPR. Listen to a conversation on April 24 with Diana Hadley, president of the Northern Jaguar Project about their bi-national big cat conservation programs. Jerry DiTata is a great addition to the KUPR family (read more about him under "Music"). He hosts Home Country with Slim Randles on Saturdays, interviews local talent for the “Let’s Get Creative” show and will also pop in as a fill-in host from time to time. And, in his spare time he backs up our KUPR engineers. His local artist interviews are archived here after they air. Our good friend and regular poet Jim Fish left this world doing what he loved - hiking - and the loss is a huge shock to this community. Larry Goodell was born in Roswell, NM and has been in Placitas since 1963. He learned from USC in LA, studied with Robert Creeley in NM, went to the Vancouver Poetry Conference of '63 to study with Olson, Ginsberg, Duncan, Whalen, went to the Berkeley Poetry Conference in '65, and married photographer/artist Lenore Goodell in '68. He fabricated then staged his first event poems at the Thunderbird Bar in Placitas and at UNM. In 1972 he toured the country doing poetry performances with Stephen Rodefer. He has organized poetry readings for years, most recently at Silva's Saloon and the Duende Poetry Series at Anasazi Fields Winery. Needless to say, KUPR is thrilled to have Larry carry on the tradition of original poetry readings on KUPR - Thursday afternoons at 5pm. at the Jewel Box Theatre in Poulsbo, Washington. A new resident of the Village of Placitas, Ken joins KUPR as the host of the weekly show The Old Time Radio Theater on Saturday nights. Calling himself “The Old Time Radio Buff” he’ll present each week two or three classic OTR shows and/or movie radio-plays from the 30s, 40s, and 50s. And in addition he’ll be providing background information on the actors, writers, directors, and production teams for these shows. Tommy Thompson, the voice behind many of KUPRs station breaks and announcements, has more than two decades of experience as a speaker, announcer and voice artist, including four years as a radio personality. Prior to moving to New Mexico from the East Coast in 2010, he was the “voice of the theater” for Capital Repertory Theater in Albany, New York, an Actor’s Equity-affiliated company. As well as house announcements before every Capital Rep show, he added his voice talents to a number of its productions, including “Moonlight and Magnolias”, “Rounding Third”, “The Technology Plays” cycle, and “An Alien’s Guide to Planet Earth”. He has also been heard in several radio commercials and Internet-based promotions, and seen as an extra on episodes of “In Plain Sight”, “Vegas”, “The Messengers”, and “Better Call Saul”. His film extra roles include “We’re the Millers” and “Independence Day 2”. Tommy and his wife Jane live in Bernalillo. At a time when concerts and gatherings on the West Coast gave birth to 1967’s infamous “Summer of Love,” New Mexico was experiencing its own social and environmental revolution depicted in Voices of Counterculture in the Southwest, an exhibition at New Mexico History Museum in Santa Fe in 2017-18. Placitas has its place in this history and some Placitans' stories were recorded as part of the culmination of this project. You can listen to them here. John Dillon is a singer-songwriter, performer and guitar maker. Along with his wife, noted actor Vivian Nesbitt, John launched Art of the Song over a decade ago. This one-hour, listener-supported weekly radio program is heard on over 150 stations across North America. John has interviewed some of the biggest names in the industry with a focus on the universal truths common to all creative expression. An award winning series features the compelling voices of the leading scientific and social innovators of our time. Each program highlights visionary solutions for restoring the Earth and human communities. Global Village - a fresh, inventive mix of global sounds and styles and a welcoming presentation, this award-winning show speaks to the joys of musical discovery and smart entertainment with diverse and engaging world music that appeals to a broad audience. Home Country with Slim Randles is an hour-long show airing Saturdays at 1 pm and featuring classic country music, stories and fun. Slim is an old High Sierra mule packer and familiar newspaper columnist whose country humor is never out of style. 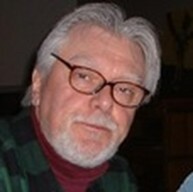 Home Country is produced by long time Albuquerque radio personality Larry Ahrens. One hour music documentaries produced by Paul Ingles air at noon Wednesdays. On Fridays at 3 pm and Sundays at noon tune in for Paul's award-winning Peace Talks Radio. He also tunes in Thursdays at 1 pm with 10,000 Good Songs, two hours of great music. Paul has been in broadcasting since 1975 and has experience as a producer, news and sports reporter, recording engineer, editor, on-air personality, consultant, trainer and manager. We are grateful for his support of KUPR. We are proud to join over 140 NV1 affiliates (from reservation and village-based stations to top urban stations throughout the US and Canada). 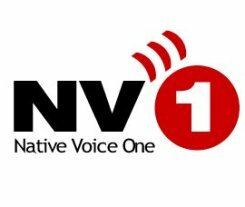 Native Voice One (NV1) is the distribution division of Anchorage-based Koahnic Broadcast Corporation. They bring Native voices to Alaska, the nation, and the world. NV1 content educates, advocates, and celebrates Indigenous life and values. We will be airing Voices from the Circle on Mondays, 2pm - at 10 am Saturday and 6 pm Sunday enjoy Undercurrents. a free form music show hosted by Gregg McVicar (Tlingit). Sounds from the Mother Road is a weekly exploration of the last 70 years of American Roots Music, featuring western swing, country, rockabilly,cowboy tunes and the artists who continue those traditions today. Travelers In The Night is your unique source of insider Information from the Asteroid Hunting and Space Communities. The Travelers In The Night Pieces are written and produced by Dr. Al Grauer of Silver City NM, a member of the Catalina Sky Survey Team at the University of Arizona and an observational asteroid hunting astronomer. The Catalina Sky Survey has discovered nearly half of the Earth approaching objects known to exist. Each installment of Travelers in the Night is a short, engaging, sweet spoonful of great science... A tasty scientific treat from a great scientist that is also rich with information about a topic we should all pay attention to.These two minute spots air during David Earl's early morning show week days, typically at about 8 am. 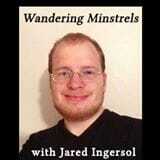 Jared Ingersol hosts the syndicated radio program “Wandering Minstrels with Jared Ingersol”. The show spotlights a wide variety of folk music, from the traditional, to the contemporary, to the cutting edge; all its offshoots and branches — music from all around the world. We are airing this prerecorded show on Sunday nights at 8pm.